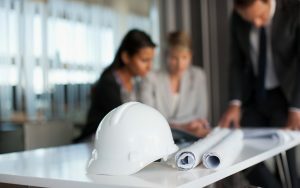 Free White Paper: Condominium Projects Continue to Create Challenges and Litigation - Professional Underwriters Agency, Inc. In this white paper, Kent Holland of ConstructionRisk, LLC discusses the increased risk associated with designing and constructing condominiums for design firms and contractors, as well as their insurance carriers. Holland outlines three court decisions that demonstrate the risk of liability of the design professionals and contractors to third parties such as homeowner associations, or even individual unit owners. The risk is becoming more severe as courts are finding that firms owe an independent duty of care to the third parties, that renders them responsible for economic losses even when there has been no personal injury or property damage. After an in-depth analysis, Holland summarizes the lessons learned as a result of these court decisions and offers suggestions for your clients to manage the increased risk associated with condo projects with stronger indemnification provisions and limitation of liability provisions. Click here to download your free copy today.